Gerd is the older half of the famous paddling Serrasolses brothers. 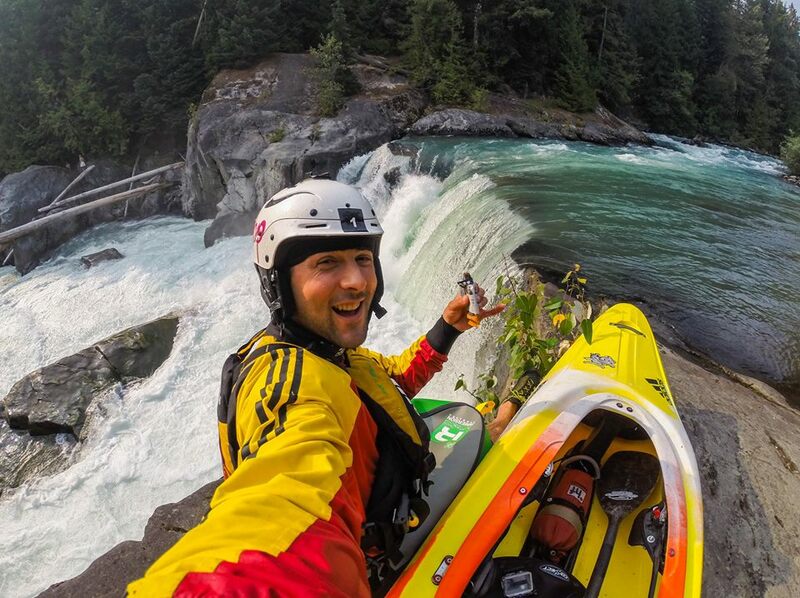 Hitting big whitewater, competing in world class competitions (and winning) and crafting superb GoPro edits is where Gerd spends most of his time. 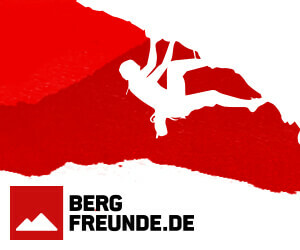 If a country has quality whitewater the chances are that Gerd has already been there or is planning an expedition to seek out first descents. 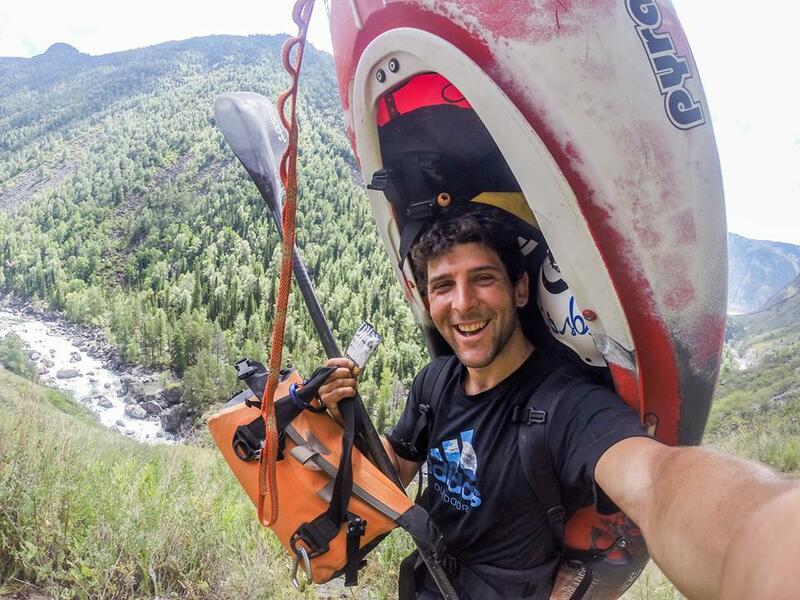 I’ve been following Gerd’s travels and adventures for some time and am super stoked that Gerd agreed to take part in the Unsponsored Q&A series, especially as he was in training for the Sickline event (which he won). One day I was biking along our local river, the Ter and saw some people paddling around. I got curious and with some persuasion from my mum I decided to join the local kayak club, the Salt-Ter. It all started really slow with only a couple hours a week on Saturday morning, but as soon as I could go to the river by myself riding my bike and pulling my playboat on a little trailer I started to get obsessed about kayaking until it became my life. 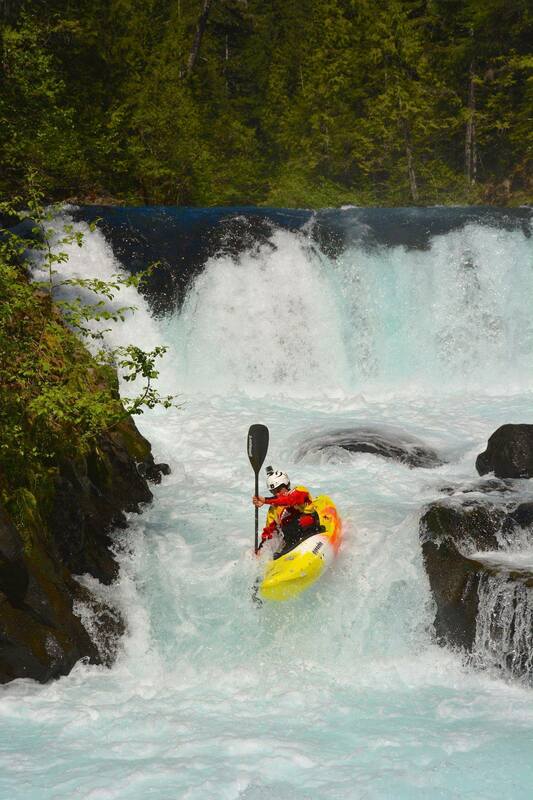 Since I started kayaking a long time ago it immediately became the most important thing in my life. From the beginning it was more than a hobby already, more like an obsession. With time kayaking became my job and profession as well, first as a river guide and kayak instructor, now more like a ‘pro kayaker’. Serrasolses Brothers Go Pro reel 2015 from SB Productions on Vimeo. When I was younger I used to swim and play waterpolo but I didn’t like it at all, I need to be outdoors. It would be awesome to be a pro surfer or a pro skier… there are so many sick sports… I wouldn’t change my life though, we practice the best sport there is out there! Fall is usually a transition time for me, end of the season before heading South to start a new one. 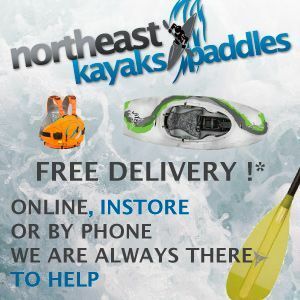 It totally depends on where am I at, but it definitely involves paddling. Last week I was training daily in Austria for the SickLine race, this week is all about paddling in Sort in the morning and pack and organize stuff in the afternoon. Next week will be in the rivers of Peru… its always different, thats why its so cool. I like to feel good physically, comfortable in my boat and mentally prepared. It’s important to listen to your body and go step by step. Having a solid crew or group of friends pushing each other and looking after everyone is also extremely important and helps you get better really fast. Visualization and mental rehearsal is so important, having a strong mind is definitely a must when running complex whitewater. I visualize the rapid and myself running it, try to calm myself and relax but also get fired up and confident I can stick my line. 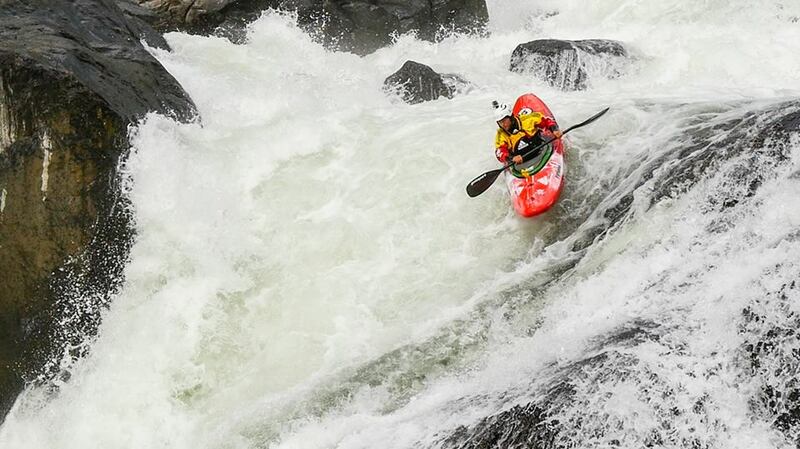 Once you peel out of the eddy its all about finding the right flow and timing to make it happen. You’ve just returned from a 10 day kayaking expedition in Kyrgyzstan. Tell us a little bit about the logistics of doing a trip like this, and how was it? Yeah we spent the first two weeks of September in Kyrgyzstan and the plan was to paddle the Saryjaz river with the rest of the adidas Sick-Line Team. After a lot of transit we finally got to the river, put on and paddled around 5 days of great white water in between white marble canyons walls and amazing scenery, it felt so remote. 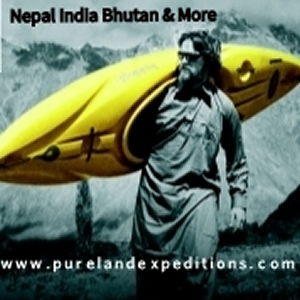 The Saryjaz is especially complicated logistically as you are not allowed to paddle into China so the only option is to leave all your gear there and hike for 5 days back to the put in over a few 3.000 meters passes or get picked up by a helicopter at the border before entering China. Luckily we could choose the second option and it was amazing, the flight over the Inylchek Glacier was incredibly beautiful and we had an awesome time with the whole Team on the river, looking forward to the movie. I would go everywhere! The Zambezi, China, Nepal are some destinations I haven’t visited yet as well as Brazil. Maybe I’d just wish for a great snowpack season in California, never been there. mmmm… the 9R! I was deeply involved on the design of this boat and I’m really happy about the outcome. It’s really cool to see a kayak come alive from a few pencil sketches, then some CAD and finally a prototype. It’s not an easy task and involves a lot of time and patience. In the end though it’s a really cool experience and I think theres still a lot of room for improvement and design development on creek boats so I’m looking forward to the future and whats to come. Gerd Serrasolses 100% Go Pro reel 2012 from SB Productions on Vimeo. Well of course in the past was plastic and rotomolding, discovering flat hulls… Nowadays though I’d say innovation comes everyday from the paddlers pushing the sport, their mindset is changing and evolving running bigger drops, more confident, with more style and shaping their skills on a daily basis to be able to run bigger and harder whitewater. I’d like to thank my family for supporting me, my brother Aniol for being the best paddling paddler and an amazing inspiration, all my friends for all their support and good times and my amazing girlfriend Ali for always being there for me, helping me achieve my goals and making life a lot more fun and enjoyable. Stoked to share it with all of you, thanks! And finally thanks to my sponsors who help me chase my dreams: Adidas, Pyranha, Galasport, Immersion Research, Picky Bars, Watershed Drybags, Go Pro, SBP.